US 27 to 15th St. Stunning city view. Gorgeous renovation! 3 bedroom 2.5 bath, Gourmet kitchen w/Granite Countertops, whirlpool SS appliances. Full baths offer dbl vanity sinks, ceramic tile. 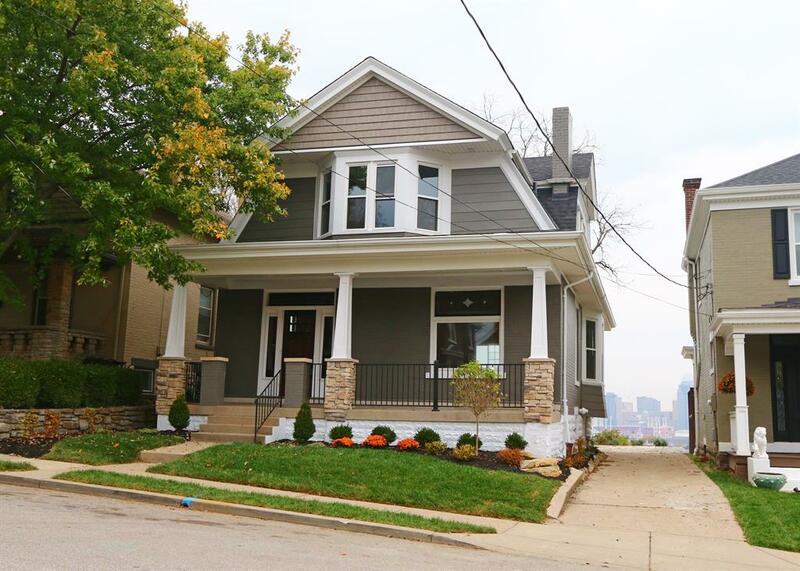 Relax on large deck & enjoy amazing skyline view of Cinti. Other features incl natural woodwork, stain glass window, pocket doors, Rookwood fireplace, 1st flr laundry, off street parking, mins to Levee, downtown, interstate.